Since 2012, Derbyshire have been in the habit of surprising people. They were promoted that year and while the side struggled in the top flight the following season and were relegated, there is no doubt the experience caused positive changes to happen in coaching and playing staff. It seemed 2014 would be a difficult year, with lots of players leaving and some poor results, but actually it ended quite well. After a top-half finish in the LVCC and a visit to the knockout stages of the new 50-over tournament, Derbyshire had every right to announce they were aiming for promotion in 2015. It didn’t happen. Far from promotion, Derbyshire took only three victories and were saved from the familiar wooden-spoon spot only because Leicestershire performed slightly worse. The meaning of Derbyshire’s August defeat to Leicestershire, a team that waited almost 1,000 days for a four-day win, is for the reader to decide. The shorter formats weren’t much better. 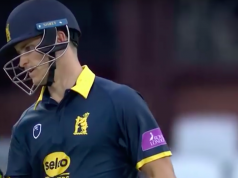 We saw some decent cricket from the Derbyshire side in both the Natwest T20 Blast and Royal London One-Day Cup but those performances, for the most part, just didn’t transform into results. 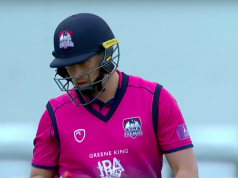 It was glorious to see the Falcons finally beat Yorkshire at Chesterfield, and even better to see the determination on Wes Durston’s face, but it was one of the few bright moments in the Blast. Derbyshire still finished bottom of the North Division and remain the side with the worst T20 record in the country. One of the issues last season was short visits from overseas players; so short that there was no time to really make an impact. The lesson has been learnt and this coming season, Derbyshire have a commitment from James Neesham for the whole of the Blast and Hamish Rutherford for all formats. In addition to this, Wayne Madsen has essentially committed the rest of his career to the side, albeit not as captain, and elite performance director Graeme Welch has signed on for another two years. The biggest blow, of course, is that Mark Footitt has moved on to pastures new. The left-handed quick has been Derbyshire’s prize asset for the past two seasons and his move to a bigger side in Surrey was not unexpected. Perhaps there is no direct replacement for Footitt, but there is still strength in the bowling. Young Greg Cork is another left-handed pace man, although still very young, and Tom Taylor came out last year as a promising young seamer. Tony Palladino remains as the most senior and experienced of Derbyshire’s bowling attack and Shiv Thakor, who recently committed himself for another year, has gone from strength to strength since making his move from Grace Road. Billy Godleman matured into his role as a senior player last season, taking on the captaincy on a temporary basis while Madsen was injured. The mantel suited him and he rose to the occasion. When Madsen recently made the decision to step down as Derbyshire’s captain, the new-look Godleman was the obvious replacement. After a difficult couple of years with the Falcons that led him to almost leave midway through 2014, in less than two weeks from now Godleman will lead the side out as its permanent captain. While Footitt leaving is a loss, Madsen’s commitment is a huge boost for the club and Godleman’s leadership is already proven. There are still a lot of youngsters in the Derbyshire side who have promise that is yet to be fully realised. They will need to step up if the Falcons are to see improvement this year, but there is something to be said for the atmosphere and confidence around a club that elicits commitment from experienced players like Madsen, Durston and Palladino. Rutherford enjoyed his first stint at Derbyshire so much, he signed for this season in July last year and Welch is one of English county cricket’s best coaches. That he has signed on for a further two years speaks for itself. If the 3aaa seemed an unhappy place in 2014 when four players left the club in the space of a few weeks, it certainly appears to have improved. Derbyshire will be doing everything possible to see that that positive attitude off the field transforms into results on the field. While the rest of the country marvelled at Footitt’s speed and speculated on how long Derbyshire could keep hold of him, the real Falcons fans were watching Wayne Madsen. Although he spent some of 2015 on the bench, due to a finger injury, Madsen remains Derbyshire’s most reliable and most effective batter. Rumours that he might make a move to the other end of the A52 were put to bed a few weeks back when he signed on with the county for another four years – most likely to the end of his career. The move shows Madsen’s level of commitment to the club and to his role as senior player in a relatively young team. Although he has stepped down as Derbyshire’s captain, after five years in the role, his influence will still be there in the dressing room and on the field. Although a seamer, Tom Taylor made his first real impact for Derbyshire with the bat, when he made 40 on debut against Leicestershire in 2014. It was not until the next game that he took his maiden first class wicket, that of Surrey’s Hashim Amla. He was 19 years-old at the time. His first five-wicket haul came against Gloucestershire in 2014 and his career best 6/61 came in the opening fixture of 2015, against Lancashire. Under Graeme Welch’s tutelage, Taylor has developed into a quality bowler, having taken 43 first-class wickets for the Falcons. With Mark Footitt moved on to pastures new the 21-year-old, a product of Derbyshire’s academy system, could find himself a very important player for his side in the coming years. Hamish Rutherford will be available for all formats and for the entire season, international commitments permitting. Rutherford spent some time with Derbyshire in 2015 and impressed in both the longer and shorter forms of the game. The left-handed opener alongside Godleman should make for a strong opening pair, something with which Derbyshire have struggled in the past. Another Kiwi, James Neesham has signed on for the whole of the Natwest blast. The all-rounder has vast experience in T20, both internationally and on a domestic level. He has appeared in the IPL and CPL as well as for Otago in his home country. A right-handed middle order batter and a left-handed medium-pace bowler, his experience and stability could just be the key to Derbyshire’s success in T20s. This year, things are in place for a turnaround. Derbyshire have lost Footitt, but they still have the coaching structure that developed him from a sidelined Nottingham boy to a bowler fought over by the biggest counties in the game. Godleman has finally found himself, Madsen and Durston remain, Hamish Rutherford will return to the side and play in all formats and Neesham will be available for the entire Natwest Blast. The batting looks stronger than the bowling right now and promotion is not likely, but a solid march to mid table with an eye to the future is feasible. Last year’s T20 efforts showed ability but not results. If they turn that around, the knockout stages beckon. A couple of good victories and a mid to lower table finish is probably more likely, though. 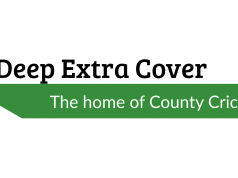 The RLODC was where we saw the county’s best cricket last season, although once again they struggled to put results on the board. The 2014 season saw Derbyshire’s best ever showing in 50-over cricket, so we know they can perform. A sharp kick up the backside from Graeme Welch may be in order, but the Falcons can challenge for a knock out place again this year.